One Miami is among the few Miami condos that come in pairs, easily noticeable by the blue strips running up and down each building. 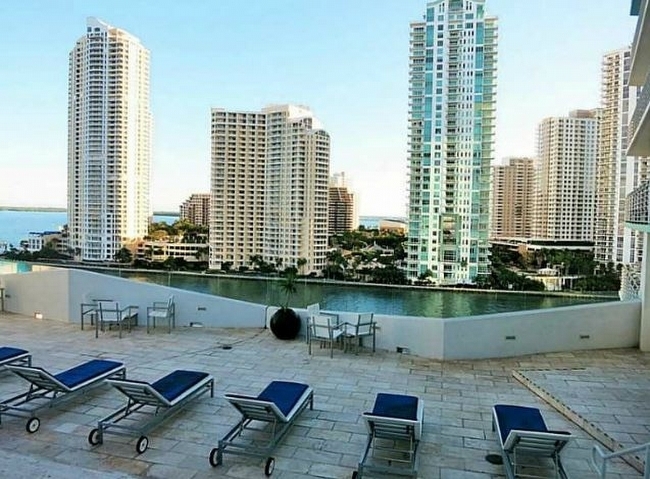 What’s more, One Miami comes with some of the best prices in the area, offering luxurious residences with stupendous views in a package that’s a lot less than what downtown Miami condos normally cost. The highlights begin as soon as you walk inside One Miami and check out the lobby. 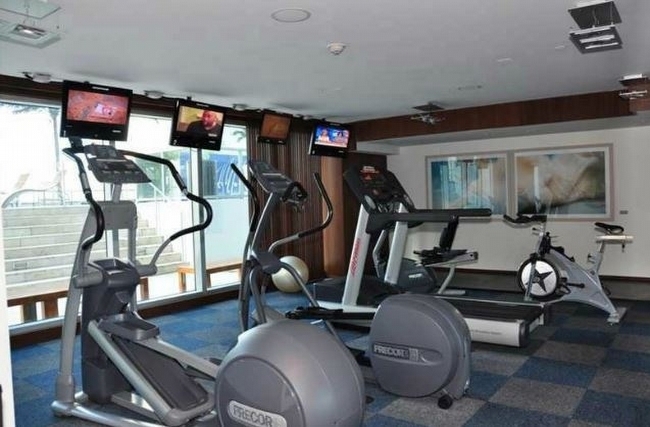 Explore further and you’ll find a bayfront café offering casual and al fresco dining, a state-of-the-art fitness facility, a full service business center and multifunction rooms in both of One Miami’s buildings. Outside, lap and recreational pools are complemented by tropical landscaping and party decks with views of the waterfront plus tennis courts. A total of 896 units in twelve distinct floor plans are available. Inside you’ll find Smart Building technology, private balconies with superb waterfront views, and energy efficient air conditioning units and heating systems. Kitchens feature European style cabinetry, imported granite countertops and stainless steel appliances. The bathrooms are just as deluxe. 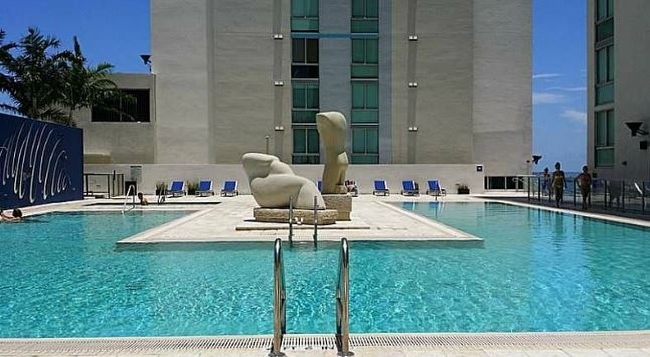 The One Miami condo offers the best of Miami. 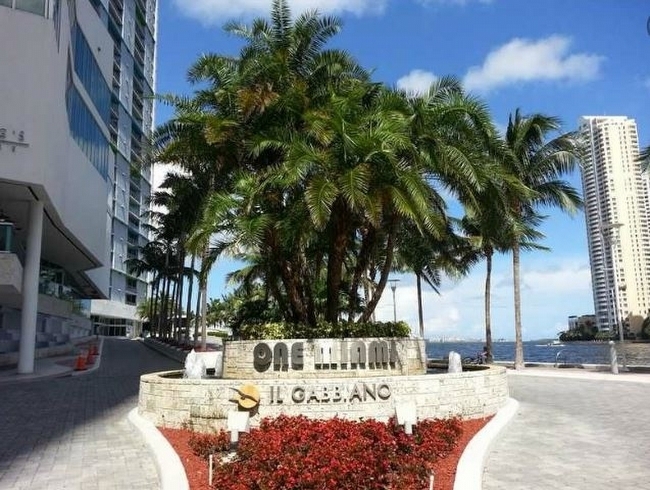 For one, the location of One Miami puts you near places like Bayside Marketplace, one of the many places that can be walked to from One Miami. 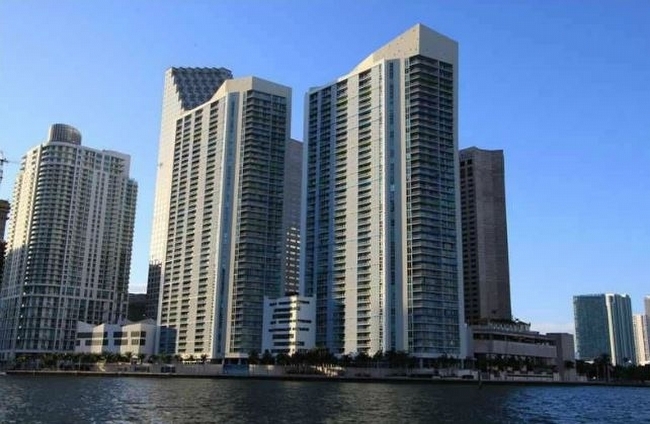 Or why not take a different means of transportation and makes use of the Metromover station near One Miami? 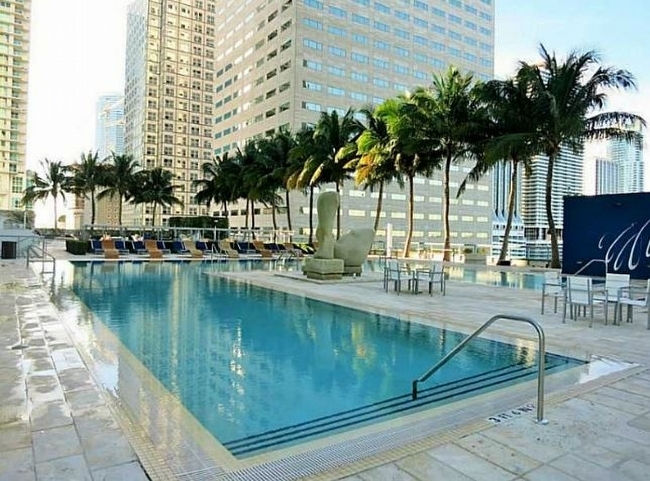 It's one of the countless reasons why you'll absolutely love One Miami.